Climate change has led to diminished rainfall and increased temperatures in Jordan, one of the ten most water stressed countries in the world. Severe water shortage and excessive grazing has led to a major loss of biodiversity, soil erosion and land degradation. Thus, controlling land degradation and promoting vegetation growth is crucial to reduce the pressure on rangelands and provide sources of feed for sheep and goats, which are most critical to livelihoods in the rural communities of the Jordanian Badia (dry rangelands). With a semiarid climate, Jordan is characterized by high dependence on rainfall and scarcity of water resources. Precipitation trend analysis shows a 5–20 percent decrease in the last four decades. Per capita water availability is projected to decline from the current low of 106 m3 per year to 90 m3 per year by 2025, whereas the global average is 24,776 m3 per year. Badia, or the rangeland region in Jordan, which constitutes around 90 percent of the kingdom, is representative of the vast drier environments of the West Asia and North Africa (WANA) region, an area greatly in need of efficient rainwater management measures. Despite its low levels of rainfall (less than 200 mm per year), Badia constitutes an important source of grazing for livestock breeders. Due to low productivity, rural populations seek alternative income-earning opportunities elsewhere. This increased migration leads to the collapse of traditional land, water and vegetation management systems, causing further degradation. In a project on Community-Based Optimization of the Management of Scarce Water Resources in Agriculture in West Asia and North Africa, which started in 2004, scientists established several benchmark research sites in different agro-ecosystems, including the Jordanian Badia for the implementation of an integrated watershed management approach. GIS-based land suitability analysis was performed to integrate biophysical and socio-economic factors into a comprehensive site characterization map. In the two communities of Mharib and AlMajidyya, micro-catchment water harvesting techniques, like contour ridges and furrows, runoff strips and bunds were designed and established. A Vallerani machine, a plow with a hydraulic arm for intermittent pit excavation along the natural contour of the slope, was used for excavating furrows. Scientific research led to a low-cost Contour Laser Guiding (CLG) system, based on GPS guidance technology, which was adapted and implemented to the Vallerani unit. For the sustainability of the project, communities were actively engaged, and they agreed not to graze the newly planted shrubs for at least two years after planting, a time needed for the establishment of drought tolerant Atriplex species as a source of fodder shrubs. This system reduced the pressure on rangelands and also provided sources of nutritious feed from the drought-tolerant Atriplex species. The integrated approach that was used in the Badia recovery to sustain plant cover and conserve soil from degradation has resulted in community resilience to the harsh environment and to the severe effects of climate change. The use of the mechanized Vallerani system has allowed the implementation of a rainwater harvesting package at a large scale. The main beneficiaries are the herders and rural communities of marginal lands where sheep and goats are the main source of income for better livelihoods. This system has enabled them to grow fodder shrubs and reduce pressure on rangelands for livestock grazing in areas where rainwater is not sufficient to support stable and sustainable production and better livelihoods. Beneficiary farmers are enjoying more than double the yield for barley and 1.6 times for rangeland and forage shrubs production compared to those grown without rainwater harvesting. Highly degraded lands have been rehabilitated by this improved vegetation, thus mitigating land degradation. The GPS-guided micro-catchment rainfall system has reduced cost and time required to delineate contours for the plow to follow, and tripled the construction capacity (up to 30 hectares per day), improved efficiency and precision, and substantially reduced the cost of establishing micro-catchments. Under another project, scientists also focused on improving livelihoods of participating rural communities and reducing land degradation at pilot sites using the Vallerani rainwater harvesting package. 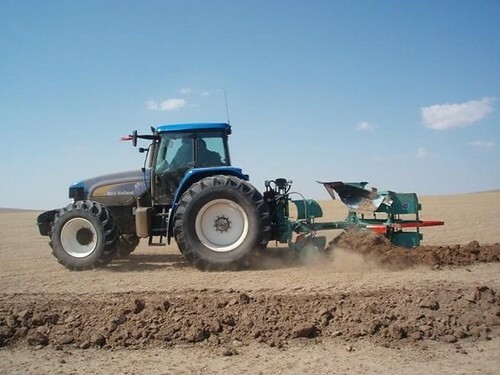 Under the Badia Restoration Program, Jordan’s Ministry of Environment has purchased three new Vallerani machines for the rehabilitation of rangelands in the Badia region. This has substantially facilitated wide dissemination of this technology. In Jordan, the Vallerani rainwater harvesting package, developed through scientific research, has been implemented on over 3,864 hectares of rangeland so far, with adoption rates tripling since the start of the project. 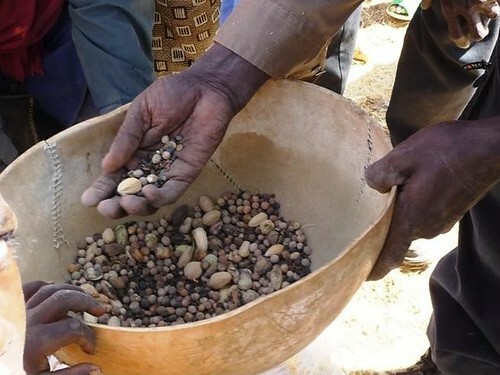 Biodiversity has increased by capturing 67–73 percent of available seeds in the harvested area compared to 3–6 percent in the control sites. Around 40–50 percent of precipitation is prevented from being lost by evaporation at the intervention sites. 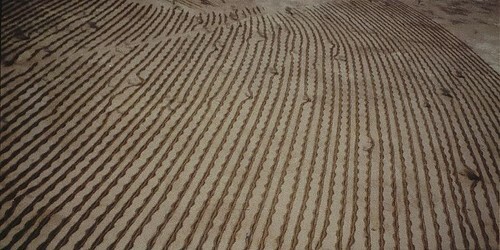 Research on micro-catchment rainwater harvesting techniques has led to the establishment of semicircular bunds on contour ridges and furrows (using GPS laser-guided Vallerani machine) and runoff strips in two communities of the Jordanian Badia. As an outcome of this research, an effective micro-catchment laser-guided system was identified for rainfall harvesting, which has led to improved water availability, increased vegetative cover and improved soil health, and provided rural communities substantial sources of feed for sheep and goats. GIS-based land suitability analysis conducted by scientists suggests that a total area of 2.7 million hectares in Jordan has the potential for adoption of this package, with further prospects of scaling out on an area of 300 million hectares in WANA countries. The International Fund for Agricultural Development (IFAD) is contributing to these efforts through a development project, where tenders for the purchase of three Vallerani machines were done in 2015. The valuation and assessment of environmental benefits associated with implementing rainwater harvesting techniques provide encouraging justification for public investment in scaling-out of these techniques in the dry areas of Jordan. The scaling-out efforts will achieve higher success if water harvesting interventions are included in plans for integrated land and water resources development taking into consideration all the necessary technical, agricultural, socioeconomic and institutional aspects and inputs. This activity was led by the International Center For Agricultural Research in the Dry Areas (ICARDA) under the CGIAR Research Program on Dryland and in partnership with the International Fund for Agricultural Development (IFAD), the Arab Fund for Economic and Social Development, the OPEC Fund for International Development, and USAID. This research was supported by CGIAR Fund Donors. ICARDA (2016) Effective Mechanized Rainwater Harvesting: Coping with climate change implications in the Jordanian Badia. ICARDA Science Impact Success Story.